Gerry is part of a new generation of print-makers combining cutting-edge digital illustration and the time-honoured discipline of screen-printing. His work focuses on the relationship between people and iconic places. Buxton's prints are based on his photographs. By combining many photographs from the same location he captures much more than just a snap shot of a single moment of time. The final prints are an idealised version of the scene and capture a progression of time into one single image, charting the progress of different characters as they make their way through the scene. 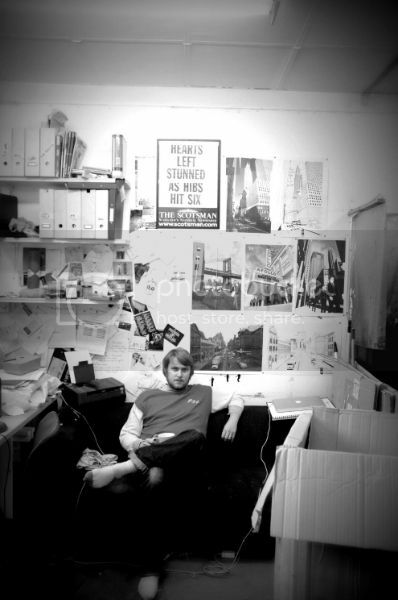 Gerry has exhibited widely in the UK and has produced commissioned work for amongst others London City Airport, The Science Museum, The Margate Gallery and the V Festival.